April 22nd is Earth Day 2019. The theme this year – Protect Our Species – aims to “educate and raise awareness about the accelerating rate of extinction of millions of species and the causes and consequences of this phenomenon.” Other goals include achieving major policies to protect these species, building a global movement that embraces nature, and encouraging individual actions to adopt a plant-based diet and stop pesticide and herbicide use. Since the loss of the dinosaurs more than 60 million years ago, our planet now faces the greatest rate of extinction due to human impact on their habitats. Learn more about What is driving this process of extinction? Earth Day Network (EDN) sums up the scope of this threat with the following 10 facts for global species decline. It’s a shameful report card of our deficiency in stewardship. Fact #1 – Our planet is losing species at an estimated 1,000 to 10,000 times their normal rate. Fact #2 – A new study of insect populations in Germany suggests a decline of more than 75% over the last 28 years. Fact #3 – Habitat destruction, exploitation, and climate change are driving the loss of half of our planet’s wild animal population. Fact #4 – Among our planet’s 504 primate species, 60% are threatened with extinction and 75% are in severe population decline. Fact #5 – Across our planet each year, more than 650,000 marine mammals are caught or seriously injured by fishing gear. Fact #6 – In the past 20 years, global fishing operations have adversely affected 75% of all toothed whale species, 65% of baleen whale species, and 65% of pinniped species. Fact #7 – Forty percent (40%) of our planet’s bird species are in decline and 1 in 8 is threatened with extinction. Fact #8 – Earth’s big cats, including tigers, leopards, and cheetahs, are in critical decline and many will become extinct in the next decade. Fact #9 – If the current decline in lizard populations continues, 40% of all lizard species will be extinct by 2080. Fact #10 – The American Bison, once numbered in the millions, now occupy less than one percent of their original habitat. Learn more at EDN’s Protect our Species Primer and Action Toolkit. All is not yet lost. We can slow the rate of extinctions by working together to build a united global movement of consumers, educators, religious leaders, and scientists to demand immediate action. For too long, we humans have placed ourselves above and apart from our planetary web of life, ignoring the interconnectivity of all life forms. To drive national and global economic growth, our species continue to mistreat, exploit, and destroy non-human life. Do our cities have to burn like the Notre Dame Cathedral for humankind to finance and take swift, decisive action to do what needs to be done? Today is Earth Day 2018. The theme this year is End Plastic Pollution in response to the exponential growth of plastic waste that now poses a threat to human survival owing to its un-biodegradable nature. When exposed to water, sun, or other elements, our plastic waste breaks down into tiny particles invisible to the naked eye. These particles – called microplastics – now contaminate our drinking water, seafood, or even the salt we add to our meals. Earth Day Network (EDN) sums up the scope of this threat with the following 10 facts of plastic in our oceans. Fact #1 – About 8 million metric tons of plastic enter our oceans every year. Fact #2 – Five massive patches of plastics are growing in the oceans worldwide. The one between California and Hawaii is the size of the state of Texas. Fact #3 – Every minute, one garbage truck of plastic is dumped into our oceans. Fact #4 – The amount of plastic in the ocean is set to increase tenfold by 2020. Fact #5 – By 2050 plastic in the oceans will outweigh the fish. Fact #6 – Plastic is contaminating remote depths of the ocean. Fact #7 – Marine organisms and animals are starving to death with undigested plastic in their stomachs. Fact #8 – Contact with marine plastic increases disease in coral reefs, home to more than 25 percent of marine life. 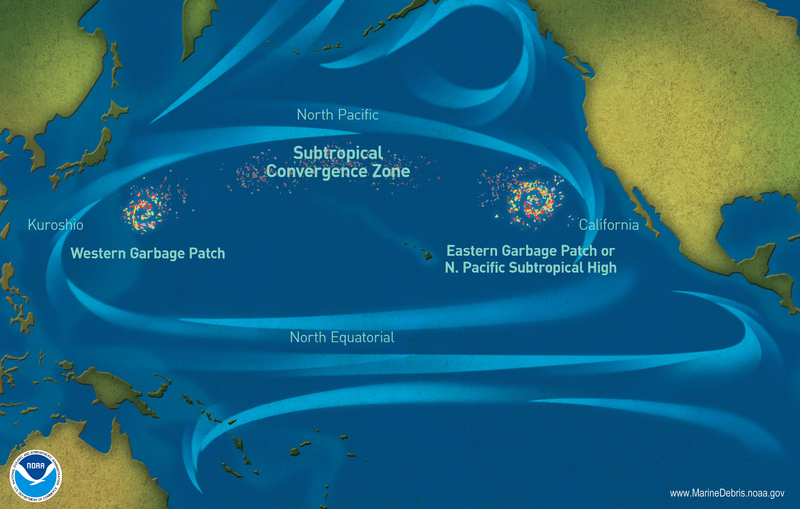 Fact #9 – The Great Pacific Garbage Patch contains more plastic than natural prey upon which fish feed. The third and final part of my series on the book, Anthropocene or Capitalocene? Nature, History, and the Crisis of Capitalism (Kairos Books, 2016), edited by Jason W. Moore, is a synopsis of Christian Parenti’s article on “Environment-Making in the Capitalocene Political Ecology of the State.” A sociologist and geographer, Christian Parenti is a professor of Global Liberal Studies at the New York University. Part Two of my series on the book, Anthropocene or Capitalocene? Nature, History, and the Crisis of Capitalism (Kairos Books, 2016), edited by Jason W. Moore, is a synopsis of Moore’s article on “The Rise of Cheap Nature.” In his article, he refers to two kinds of nature: nature with a common ‘n’ is the web of life; Nature with a capital ‘N’ is environments without humans. Like Eileen Crist (Part One), Moore argues that we live in the “Age of Capital,” the Capitalocene. Until we understand that “capital and power do not act upon nature, but develop through the web of life,” we cannot formulate solutions for the environmental crises we now face. Most people (myself included), Moore notes, still think about capitalism in economic terms – markets, prices, money, and the like. He proposes that we think about the rise of capitalism as a new way of organizing nature. We would start to consider capitalism not as world-economy but as world-ecology – the organization of work, re/production of nature, and the conditions of life as an organic whole for the accumulation of capital and pursuit of power. In other words, human activity is environmental-making. Moore challenges the Anthropocene narrative that capitalism emerged in eighteenth-century England with the Industrial Revolution, powered by coal and steam. The focus on fossil fuels as the ignition for the growth of capital ignores the greatest landscape revolution in human history – in terms of speed, scale, and scope – that occurred in the three centuries after 1450. The conquest of the Atlantic and appropriation of the New World brought vast expanses of “Cheap Nature” and the labor-power to create wealth. “Cheap” refers to the unpaid work/energy of organic life. Numbered among Cheap Nature – along with trees, soils, and rivers – were indigenous peoples, enslaved Africans, nearly all women, and even white-skinned men (Slavs, Jews, Irish) living in semi-colonial regions. These humans, deemed not Human, provided Cheap Labor. By 1500, Spain alone had colonized an area greater than the whole of Europe and more than 25 million indigenous peoples. Sugar, the modern world’s original cash crop, fed on the work/energy of African slaves. Sugar production devoured forests and exhausted soils. Between 1570 and 1640, Brazilian sugar grew three percent every year. In northeastern Brazil at the height of the sugar boom in the 1650s, twelve thousand hectares of forest were cleared in a single year, as compared with 200 years in twelfth-century Europe. Scientific advances made it possible to put the whole of nature to work for capital. “Science” revealed nature’s secrets for capital accumulation. “Economy” channeled the labor-power of the landless proletariat into the cash nexus of the labor market. The “state” enforced the cash nexus. To maintain expanding commodity production required cheap, productive labor; cheap food to control the price of labor-power; cheap raw materials; and cheap energy for diverse industries. Fossil fuels, seemingly unlimited supplies of Cheap Nature, were put to work for the rapid expansion of capitalism. How do humans fit into the web of Life? According to the tenets of Abrahamic religions – Judaism, Christianity, and Islam – Man is the crown of God’s creation, with dominion over all living species on the Earth (Genesis 1: 26-31). Thus empowered, Man has transformed Earth’s ecosystems with devastating effects on forests, rivers, lakes, seas, oceans, and all the non-humans that live therein. With our factories belching carbon into the atmosphere, global warming has become our new reality. The course is set for an unknown state in human experience. Jason W. Moore, an environmental historian and historical geographer at Binghamton University, is one such social scientist. In his book, Anthropocene or Capitalocene? Nature, History, and the Crisis of Capitalism (Kairos Books, 2016), he and six other contributors argue that Capitalocene is a much more appropriate alternative. Concepts matter, he reiterates in his “Introduction,” since we use them to make sense of our world. “The kind of thinking that created today’s global turbulence is unlikely to help us solve it,” Moore notes. In this article, the first of a series, I share the contribution “On the Poverty of Our Nomenclature” by Eileen Crist, a sociologist and professor at Virginia Tech. Crist argues that the concept of the Anthropocene reinforces human dominion over Nature, “corralling the human mind into viewing our master identity as manifestly destined, quasi-natural, and sort of awesome.” We arrogantly perceive ourselves on par with the tremendous forces of Nature. Such mentality empowers “the human enterprise” to manage the planet for production of resources and, through technological engineering, to contain the risks and ecological disasters. She observes that Man’s historical records do not record the non-human others who don’t speak and have no control over their destinies. The sixth mass extinction, resulting from destruction of their habitats for human expansion, becomes just a casualty of history. We accept as normal the humanization of Earth, at the expense of its non-human inhabitants. “Where is the freedom of humanity to choose a different way of inhabiting Earth, to change our historical discourse,” Crist asks. Crist calls for humankind to end our species-supremacist civilization and become integrated with the biosphere. This would require an end to viewing our planet as an assortment of “resources” or “natural capital,” “ecosystem services,” “working landscapes,” and the like. While she does not envisage an end to human technological innovation, the sociologist has no idea what such a world would look like. In deindustrializing our relationship with land, seas, and domestic animals, we-humans would have a better chance of reversing the takeover of Nature for our own needs and appetites. “In making ourselves integral, and opening into our deepest gift of safeguarding the breadth of Life, the divine spirit of the human surfaces into the Light,” Crist concludes. I’m always heartened to come in contact with young people who are pro-active in changing humanity’s path towards a sustainable future for life on our planet. Here’s one such young woman, an undergraduate in Mississippi, who realizes that our success in achieving this aim depends upon collective action and connection with like-minded individuals. Saturday, April 22nd, is Earth Day 2017. The theme is: Environmental & Climate Science Literacy. The three-year campaign begins with a March for Science rally on the National Mall in Washington D.C. It will bring together scientists and supporters to demand that our leaders recognize the scientific truths across all disciplines, including climate change and other environmental issues. Earth Day Network is publishing Earth Day and Teach-In toolkits online that lay out steps for holding a successful event. To learn more about Earth Day Network and March for Science go to www.earthday.org. Our global capitalist economic system has brought us to the edge of an abyss. If we want more jobs, the corporate capitalist elite tells us, we must reduce environmental regulations that increase their operational costs and make their products less competitive in the global marketplace. They say the same about financial regulations and employee wages. But those are other interrelated issues. I want to focus here on the environment. The word “environment” seems to have lost its meaning for those of us, like myself, who live in large urban centers and have a greater say in state and federal policies, regulating our environmental protections. Far removed from our natural world, we can control the temperature within our homes, offices, and commercial and entertainment centers. We obtain our food and beverages, including purified bottled water, at our local farmers’ market, grocery store, or wholesale and retail supermarkets. The “environment” upon which our lives depend may seem distant and of little importance to urban dwellers. My third quote for the ‘Three Quotes for Three Days’ challenge – an invitation from British author and blogger Frank Parker – comes from Tom Goldtooth, a Native American environmental leader and executive director of the Indigenous Environmental Network (IEN) since 1996. It’s an excerpt from his keynote address, “The Sacredness of Mother Earth,” at the Bioneers National Conference held on October 18-20, 2013.